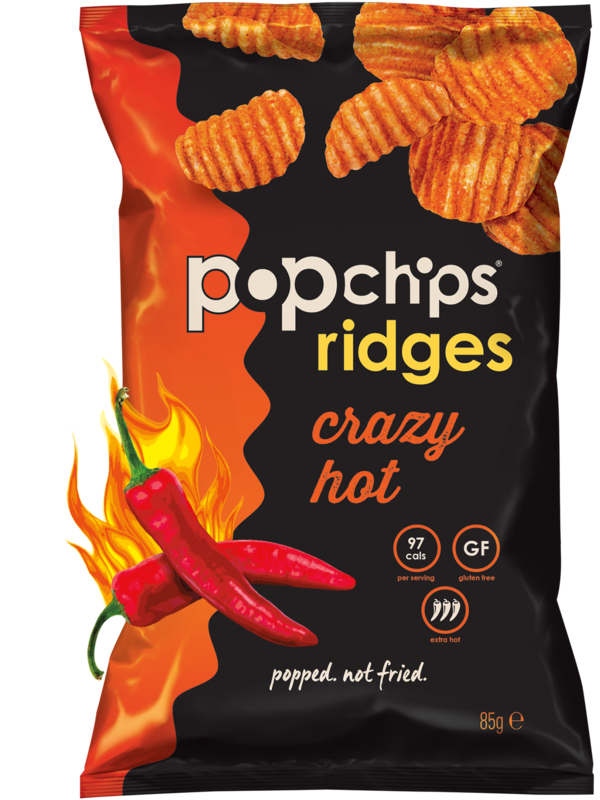 wondering what it’s like to eat crazy hot ridges? 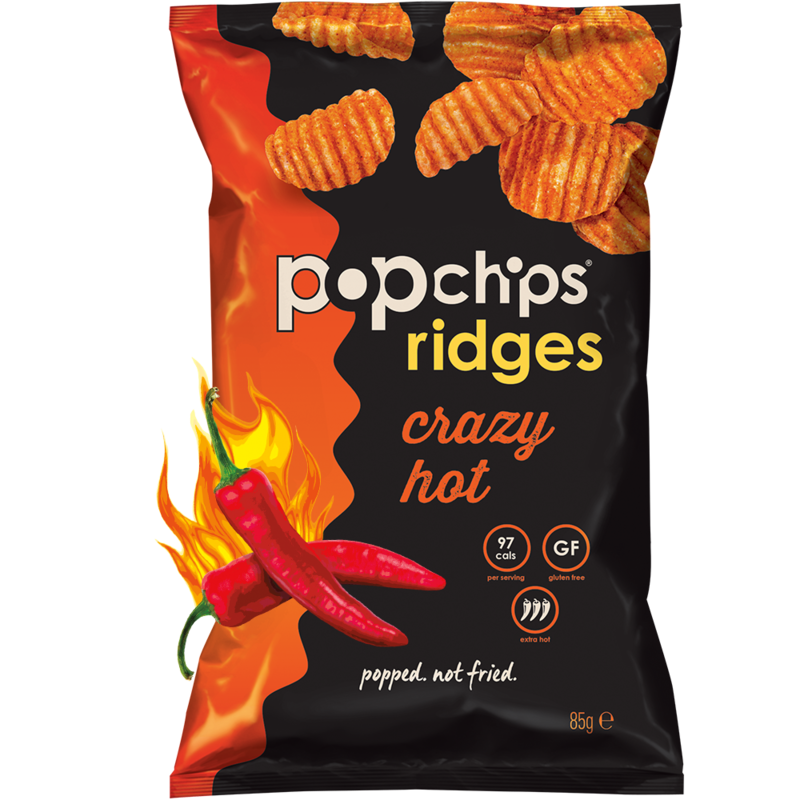 it’s sort of like kissing a fire breathing dragon - crazy hot and insanely good. 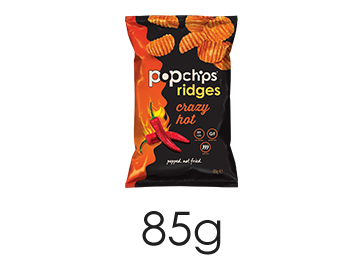 the sizzling spice and the perfect crunch will keep you coming back for more. no added preservatives, no artificial flavours, no synthetic colours, no cholesterol, real spicy! 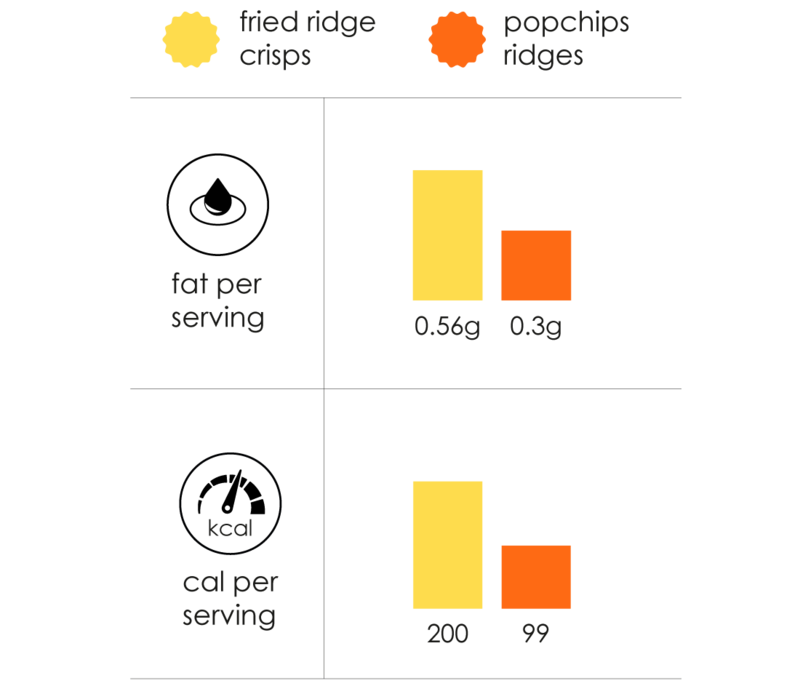 52% dried potatoes, sunflower oil, safflower oil, rice flour, seasoning (salt, sugar, autolyzed yeast extract, whey powder [milk], corn maltodextrin, spice, buttermilk powder, tomato powder, acid: citric acid, onion powder, antioxidant: ascorbic acid, gum arabic, colour: paprika oleoresin, cheddar cheese [milk, cultures, salt, enzymes], natural flavourings [milk], vinegar, garlic powder, colour: annatto), potato starch. allergens: see ingredients in bold. get more for your tastebuds. 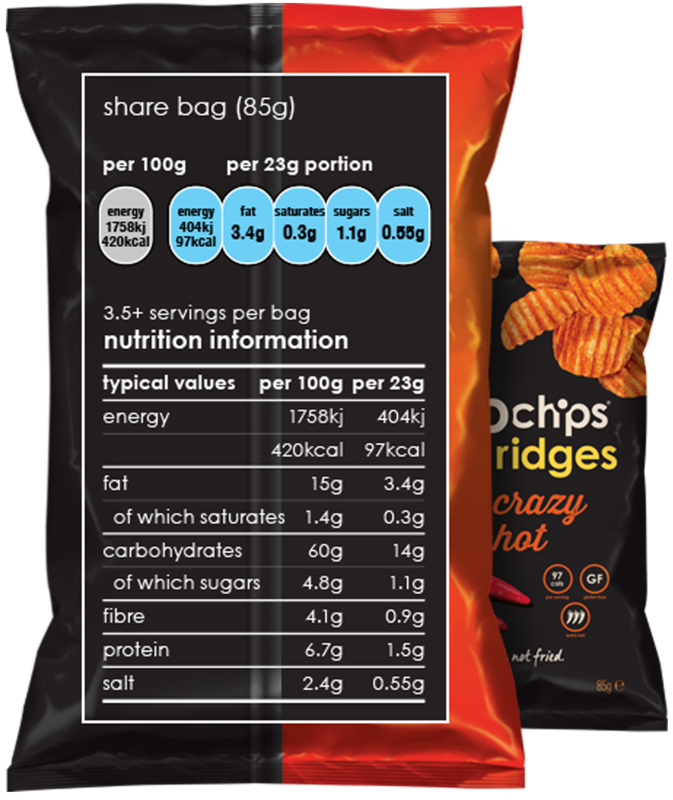 with popchips you get more flavour and more chips with less calories and fat than the "other" brands.